I am looking for IQD for a Swiss company. Only a bank transaction or Secutity House. The price depends on the documents you have. I would not trust you! @GypZ wrote: I would not trust you! @mobilny2018 wrote: I am buying a box of Iranian dinar in Zurich - any quantity. Trade can be done in Zurich or Vienna, because the money is available in them. We also offer a EUR 20,000 guarantee in case we do not complete our part of the contract. The currency of Iran is the Rial. If your the buyer and you don't deliver, your guarantee is 20K EUR? Do you also offer a guarantee on the guarantee? What are you offering per box? How many boxes do you have funding for? Serbia, Bosnia, Herzegovina, and Croatia, along with Old Yogoslavian notes are Dinara. Are you sure that you know what you are doing? You seem very confused on what currency you are looking to buy. Can you post your ID 10-T and your STUP ID? It would be great to really verify that, so everyone can get that issue out of the way. Now that we have what currency your looking for, what is your offer? You haven't said the price you'll pay. You came here as the buyer. Can you still post your ID 10-T and your STUP ID? LOLOLOL! Ok, so that was a fun thread ! Thanks Nash - You are awesome. @Ponee wrote: LOLOLOL! Ok, so that was a fun thread ! Thanks Nash - You are awesome. I'm going to work up a proposal, but I need a few answers from your merchants. What color do they want the boxes painted? Do they want steel or wooden boxes? Do they prefer ones with eye-bolts and bike locks or without? How much Dinar has to be in each box? Are you also interested in 2008/09 AA "Bond" paper ZIM notes? I reviewed your PM. You are still missing the answers to a few questions. You also didn't indicate the denominations to make up the billion Dinar. 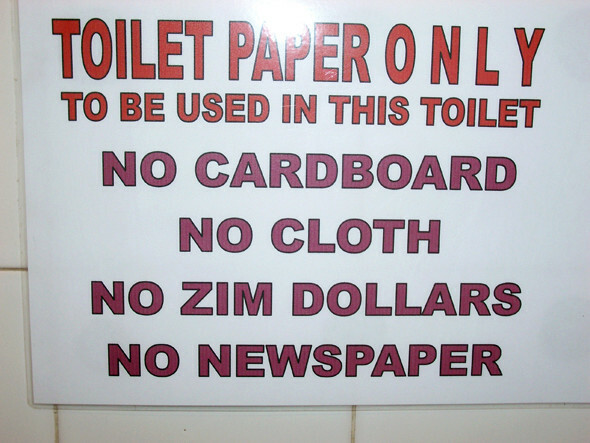 Since you have an interest in the ZIM "Bond" paper that was used to print the currency, please indicate which denominations. @mobilny2018 wrote: I am looking for IQD for a Swiss company. I had contact to seller, who can supply up to 60 boxes in Swiss. SKRs are in seller bank. Seller has Swiss passport, but living in USA. 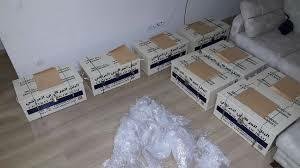 I CAN SELL INITIALLY 5 SEALED METAL BOXES CONTAINING IQD 1 B EACH, IN 25,000 IQD NOTES, WITH VERIFIABLE DOCUMENTATION ISSUED BY CENTRAL BANK OF IRAQ. CAN DO TT CLOSING IN ZURICH. BUYER MUST PROVIDE PROOF OF FUNDS PRIOR TO TT. LIFE IS MADE ONLY OF TIME. PLS VALUE MY TIME. WILL APPRECIATE RESPONSE ONLY FROM SERIUS BUYER. 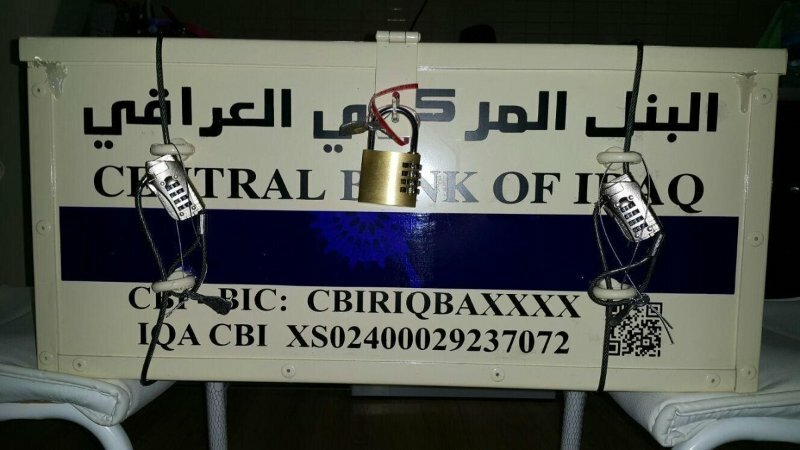 @HONESTLY wrote: I CAN SELL INITIALLY 5 SEALED METAL BOXES CONTAINING IQD 1 B EACH, IN 25,000 IQD NOTES, WITH VERIFIABLE DOCUMENTATION ISSUED BY CENTRAL BANK OF IRAQ. Do they have those fancy bike locks on them for Top Security? No, NASH, mine have a pink ribbon around them! By your reply to my post I greatly question the seriousness of this Forum. The title states: "We keep it REAL". Really? You poo-poo my serious post and you state you keep it REAL? @HONESTLY wrote: No, NASH, mine have a pink ribbon around them! There is so much fraud surrounding these boxes in Zurich that we do "Keep It Real"!! Do you have the documentation from the CBI? If so, post it! Are you doing the closing at the secure location at the Zurich airport? Your selling metal boxes that contain 1 B, but don't those boxes have 2 B? Are these the 2003 series, or later? My post mentioned that the closing would be in in Zurich. Would one do such important deal closing in any other than secure place? It is obvious that the buyer would wish to see and inspect the containers before exchanging funds against assignment of ownership of the bought currency! Do you really think that a serious seller would post photographs of confidential documentation of his/her boxes containing the IQD? Are you for truly for real? 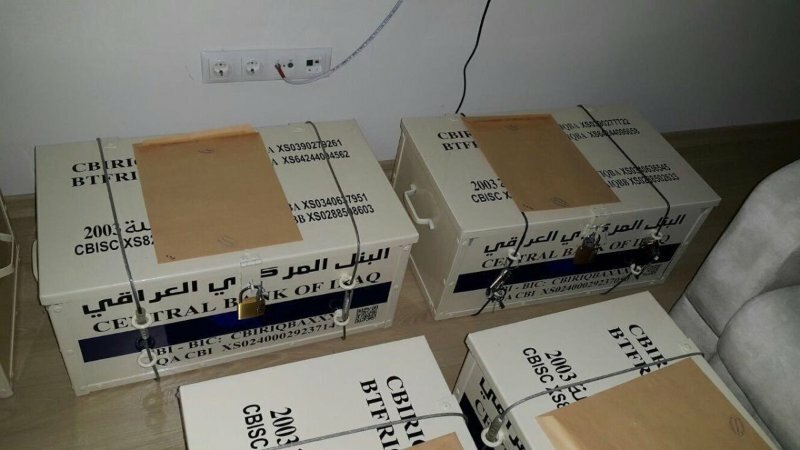 Would a seller wish to have these documents and pictures of his containers be potentially used by unscrupulous brokers in parading them around on the internet, showing them to potential buyers under the pretence that they either own, or control the depicted IQD? Have you ever seen an authentic metal container with 1 billion worth of IQD notes? Container with 2 Billion IQD? Now that would take a mega pink ribbon to hold that mother of all boxes together! I am done! Not good! You are really all new to all this, huh! You said you have verifiable documents, but no means to verify. You said you have boxes, but no proof. Who is going to come to this venue to broker a 4.3 M deal? Scammers! Who is going to do this under anonymity? Scammers! "Julius Caesar was a real person"
"she treats fictional characters as if they were real people"
used to emphasize the significance or seriousness of a situation or circumstance. "there is a real danger of civil war"
"the earring was presumably real gold"
@mobilny2018 wrote: Hľadám IQD pre švajčiarsku spoločnosť. len banka alebo Secutity House. Cena závisí od dokumentov, ktoré máte k dispozícii. Mal som kontakt s predávajúcim, ktorý môže dodávať až 60 krabičiek vo švajčiarskom. SKR sú v predajnej banke. Predávajúci má švajčiarsky pas, ale žije v USA. Môžete zverejniť ID 10-T a ID STUP? Bolo by skvelé, keby to naozaj overilo, takže každý môže dostať túto otázku z cesty. Yesterday I sent you an address. A. Your Box is sooo much better Jayzze !!! YUM ! I used to love getting those little prizes as a kid. I have two box of IQD. That is real box, never opening, no Kurdish scam. Boxes is in security house in Zurich. I'm selling a box of.... All reasonable offers accepted!! Aren't you the lucky one. You're gonna be rich when the RV hits! TNT Tony says it's going to happen day now. Woo-Hoo! Go RV!! !